At this time last year I was preparing for my first 8000-meter peak expedition on Manaslu, the 8th highest mountain in the world. The climb was a fantastic learning experience. It showed me exactly what I had to do to prepare for the ascent of Everest, which I successfully completed last May. As those of you, who have been following my adventures for a while, know, I did not reach the summit of Manaslu last fall. When I was leaving the mountain, I wished but doubted that I could return one day – to thank it, in a way, for exposing to me my every weakness and, therefore, helping me grow as a climber and individual, as well as for introducing me to some of the best of my current friends. However, I didn’t think I would be coming back soon. 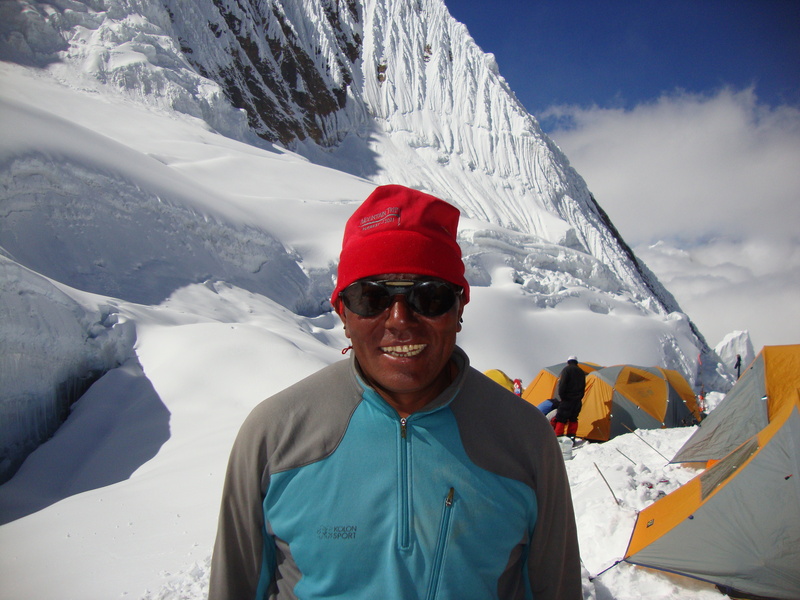 My original plan for this fall was to climb another 8000-er in the Himalaya called Makalu. The world’s 5th highest, the Black Mountain, as it is known, would have been a much more challenging ascent than any of my previous ones. Needless to say, I was very excited about it. I went to Khan Tengri with the sole purpose of training for it and, although the expedition in Kazakhstan was by no means a success, it did – paradoxically – give me the confidence I needed to attempt Makalu. However, my plans changed unexpectedly once I arrived in Kathmandu – the Makalu expedition had to be cancelled – and I was left with a hole in my schedule, plans and dreams the size of an 8000-er. The fact was all the more disappointing because I was dying to go back to the Himalaya, and go I would. ‘But why on Earth are you going to Manaslu again? Surely, you’re not one of those people, who can’t live with themselves unless they reach the summit?’ a lot of my acquaintances asked when I gave them the news. No, I don’t believe I am one of ‘those people’. However, I wanted to return, and I wondered what it would feel like to see ‘my first BIG love’ again. I don’t think of climbing Manaslu now as taking care of unfinished business: in coming back to the mountain, I will simply be returning to a place, which is dear to me in the company of people I enjoy climbing with. ‘It’s the same mountain! You’ll be bored!’ Not at all: just like a stunning opera performance is worth hearing again, a large wreck deep in the sea is worth a second dive, and a pristine white beach somewhere at the very edge of the world and its worries – another trip, Manaslu is more than worth coming back to, whether or not I have, in fact, changed as much as I like to think – which, I believe, I have. I am a different person now from the overwhelmed girl, who stumbled into base camp last year; I am certainly a different climber. 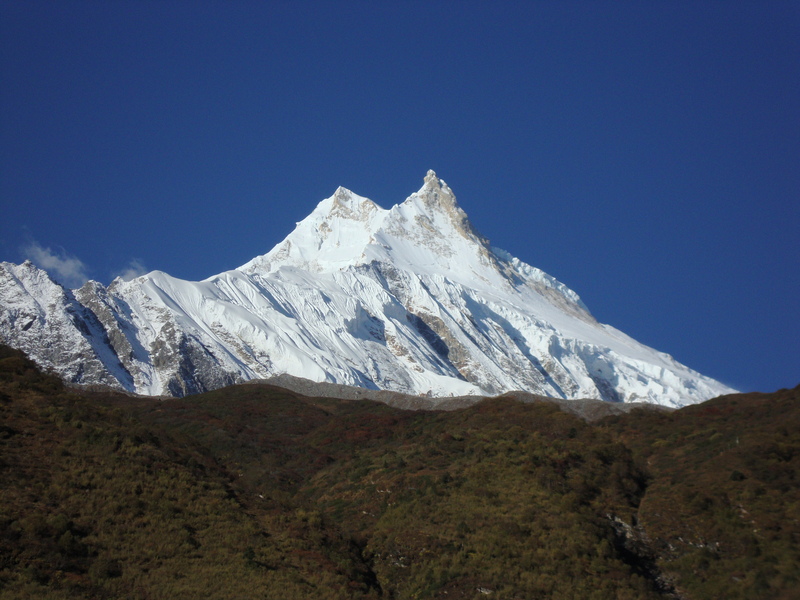 With this in mind, I feel Manaslu 2012 will be nothing like Manaslu 2011, for better or worse. This time I won’t promise to update my blog while I’m on the mountain (I never manage to do it, anyway), however, do check back once in a while because there will be access to Internet at base camp, and I may have the time and the inclination to blog. Otherwise, I will, as always, post a detailed account of the expedition when I return to Kathmandu. Drop by if you’re curious :)! P.S. : I would like to dedicate the climb to my friend, Christophe Manfroi, who was lost in the Alps at the beginning of August. You are with me always, mon ami: in my every step, in my every smile, in my every prayer to our mountain Gods, among whom I know you to be now. Will await your return and writings about the climb…Cheers! Thank you! Let’s see if the new story is worth the long wait :)! 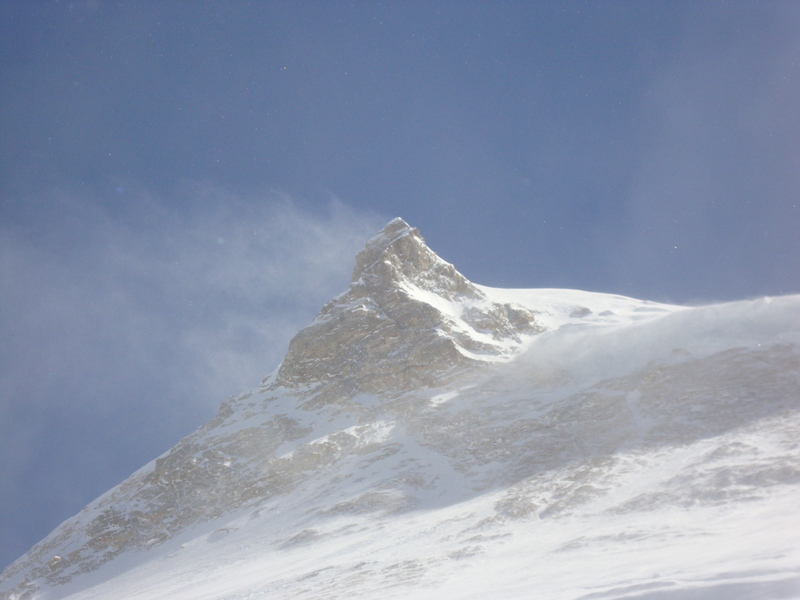 Good luck…I have a plan to attempt Cho Oyu in 2014, if all things come together over the next 2 years…Have you considered it? When it is the love of the place and not the love of ‘the self’, than it is the right thing to go back and enjoy all the beauties and unite with the mountain.